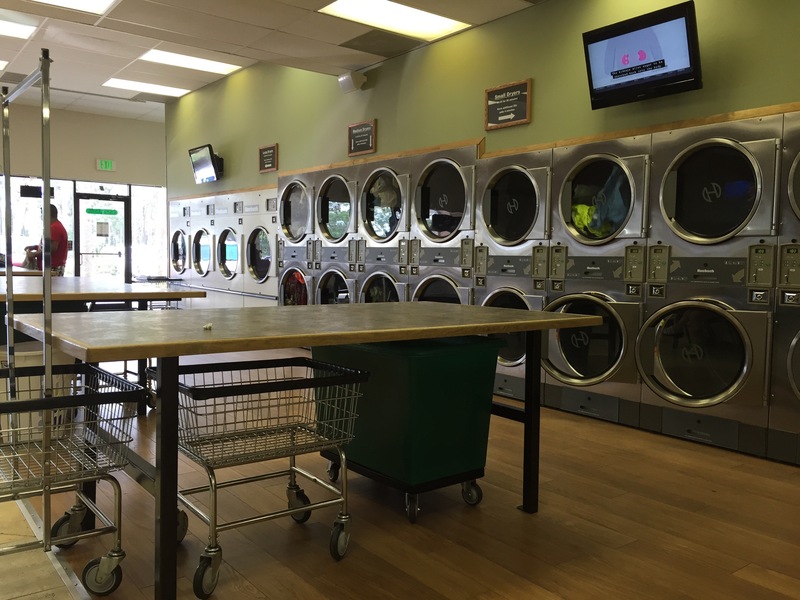 I have not been to a laundromat sine the mid 90’s. This one looked just like what I remembered any laundromat looking like. Walls full of 3 different sized dryers and rows of different sized washers. There were folding tables, laundry carts, soda and detergent vending machines and a coin dropping quarter game. I figured that the coin dropping game was rarely ever used. I’ll likely be called ‘racist’ for this, but I’ll still say it. As one might expect, the majority of patrons were Mexican. Mostly men. Actually, they were all Mexican except for two other white peeps. The above mentioned coin game garnered much attention from one particular gringo wearing cowboy boots. His interest sparked more interest from the nearby males, and they kept the machine well fed with quarters. Who knew? I kept to myself mostly with my headphones on. 1. One must be on the ball/carefully watching their wash so you can remove it IMMEDIATELY. Failing to do so results in being alerted by the vulture who is waiting in the wings. There was a vulture literally hovering over my machine. I was standing facing the washer, aware that one minute was left, but he saw it go to 0 first. I was informed about it the INSTANT it hit 0. I quickly stepped up to the plate and removed my clothes. Don’t want to ruffle any hairs here. 2. Beware the Nazi Laundry Attendant! I watched her PATROL the scene about once every 15 min. If there was a piece of trash in front of you on a table, she would call you out on it and ask you to REMOVE it, as if it would stain the table. Seriously. This happened. 3. I fear the Nazi Laundry Attendant. 4. You might be offered a new ‘designer’ purse just outside of the laundromat, whether you want one or not. 5. When you put your clothes in a washer, you may as well pack them in. I did not, and once wet, there was PLENTY of extra room. 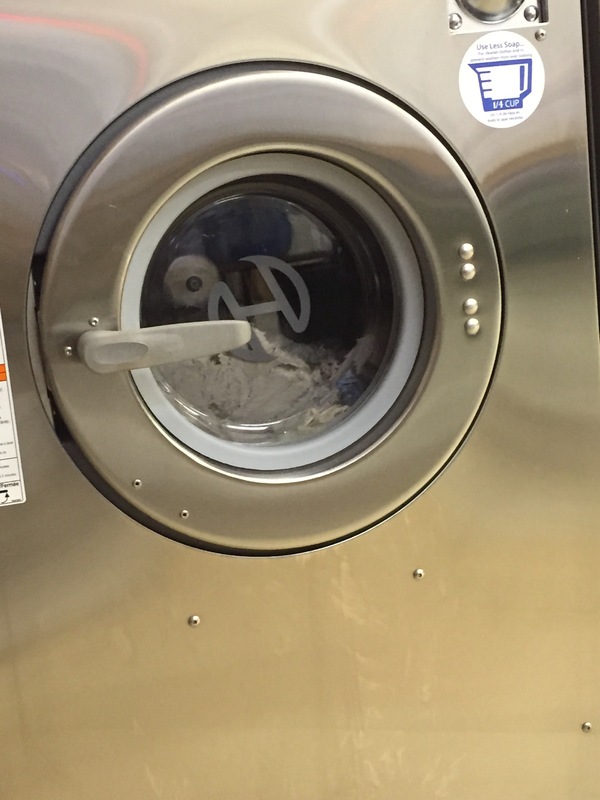 You can save quarters by combining washes when feasible, and then use the saved money on the quarter coin machine. 6. Put your detergent in the correct receptacle. I didn’t, on one of my machines. I washed with water, not sure if the detergent was ever added. Fail! 7. Don’t try to save money by mixing the towels in with your clothes when drying. I knew this but somehow thought being at a laundromat would prove a different outcome. I will need to buy a new lint roller on my way home. 8. The dryers will fry/melt/shrink anything they possibly can. Don’t leave your stuff in as long as you would at a home dryer. No fail here, I remembered this factoid from the 90’s. Needless to say, I’m delighted to know that there are private laundry facilities at my first destination an the ranch in Montana!